Originaly this was going to be dubbing an ask blog. However, the ask blog dub got cancelled. So instead of making this cancelled. This is going to be a comic dub group! Rules are the same, except I no longer use skype! Instead use Discord. 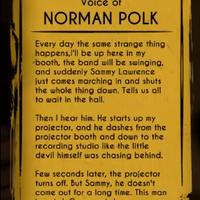 Bendy is the dancing demon and the star of the show. In this AU he's not evil and is a joker. He loves to play jokes and hangs out alot with Wally Franks. He does have an ink monster form, but uses it to scare people. On one occasion someone quit due to it. *Showing off Alice's halo* Aren't I just a darling little Angel, Boris? Boris is the wolf in Bendy's show and Bendy's best friend. Role in the AU he's not dead and alive. I dunno Bendy this dress thing ain't so bad! How'd you convince Alice to let you borrow her Halo? Role in the AU is how she is in the show. 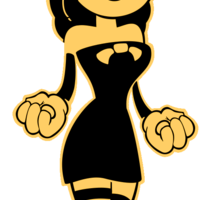 But she's not daitng or intrested in Bendy. Role in the AU: In the AU he doesn't leave the studio. When he was 15 he saw Joey Drew as his idol and dreamed one day to work at his studio as an animator for the show. One day while he was on the train he had a 47 minute conversation with his idol, the one and only Joey Drew. 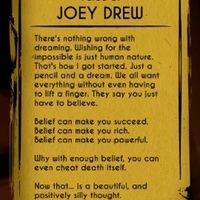 Joey Drew is the creator of Bendy, Boris and Alice and the series as a whole. His role in the AU is way diffrent. In this AU he's good and doesn't go nuts over the whole "pleasing the gods" and being mean and evil. 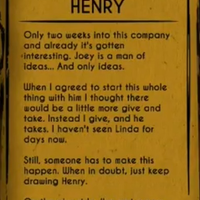 He's also Henry's insperation of working at the studio. Henry. Did...you... sleep at all last night? Sammy would it kill you to smile in one studio photo? BENDY! What in the HELL has gotten into you?! 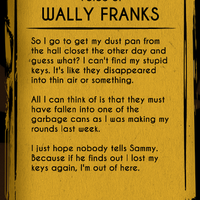 Wally Franks is the janitor of the studio. 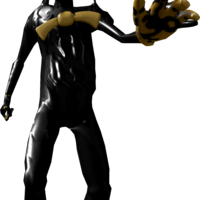 His role in the AU is the same, except he's more of a joker like Bendy, who he bonds with alot to annoy Sammy. He loves to tell jokes and pun. It is known that 2 people tried to physically fight him and he won. He's seen as the baby brother of the studio. Try to make his voice sound like the game. Did you REALLY have to make a mess? I gotta clean this up now! 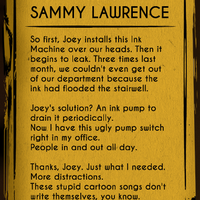 Sammy Lawrence is the strict music director of the studio. His role in the AU, like Joey's is WAY diffrent. 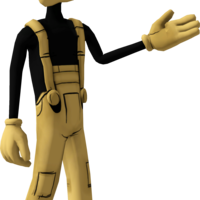 He doesn't see Bendy as his lord (only as an annoyance) and doesn't turn into an ink monster. 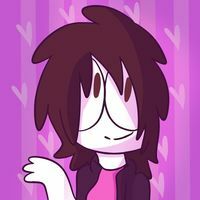 He's in a relationship with Susie Campbell (Alice's voice actress). 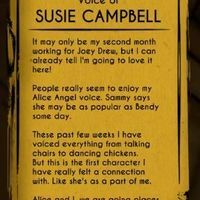 Susie is the voice actress of Alice at the studio. Her role in this AU is the same, the only thing is she's Sammy Lawrence's love intrest. She's also no damsel and can fight to protect herself. Alice and I, we're going places. *Nervous and blushing* Um, no! Not at all... What could give you that idea??? Do you believe in God, Mr. Lawrence? Someone to ask the questions on the blog.